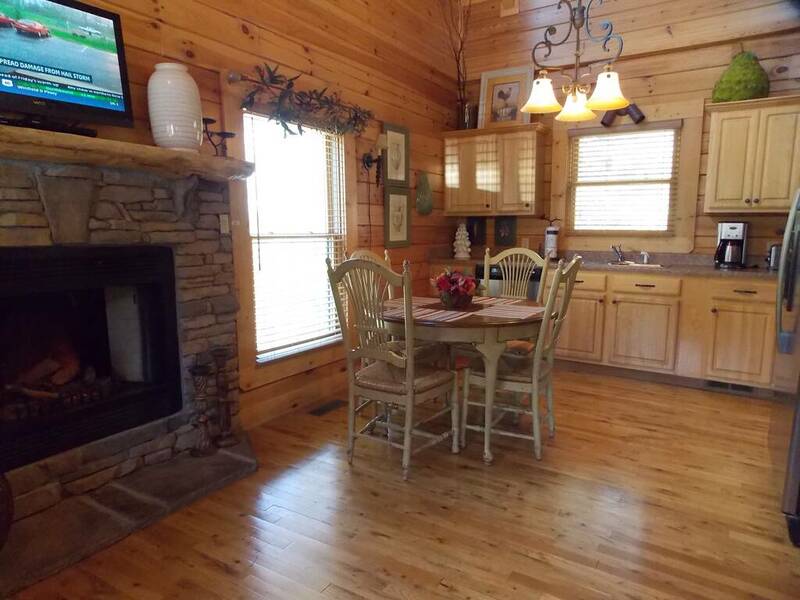 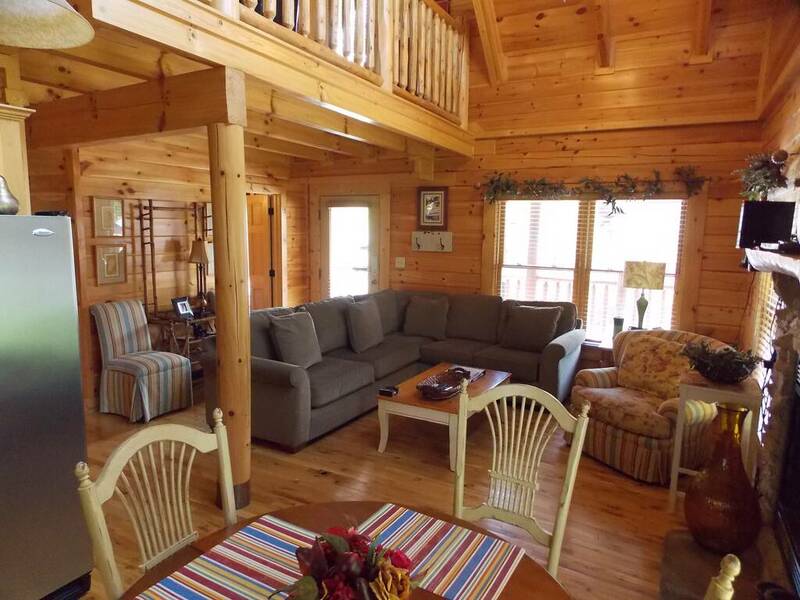 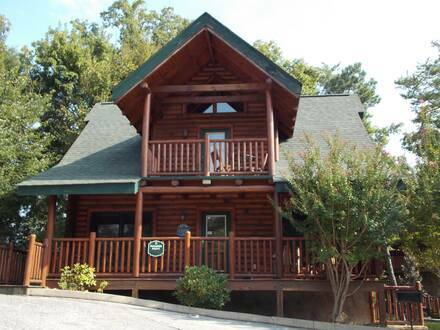 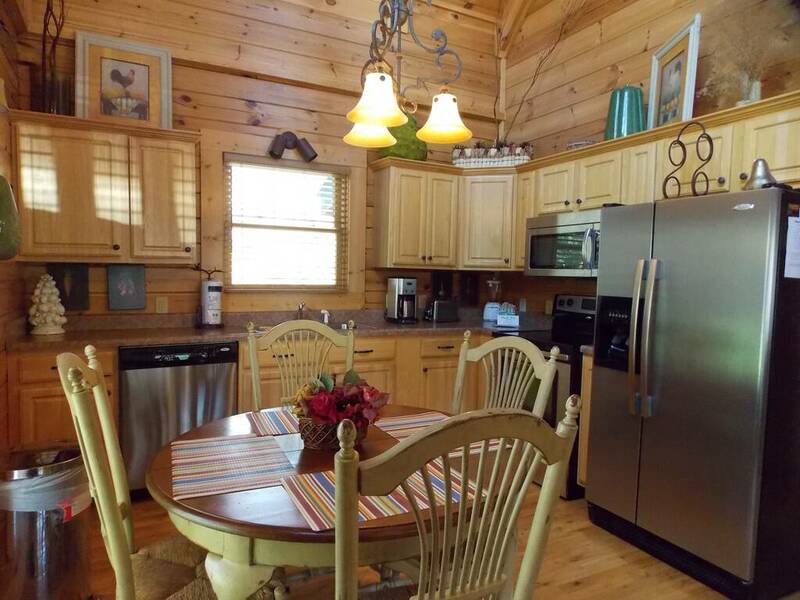 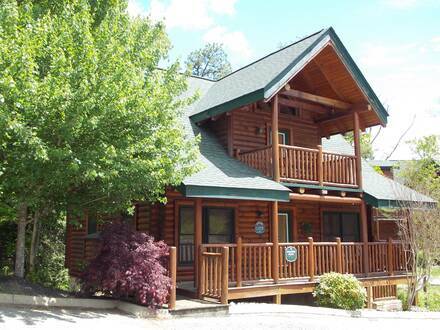 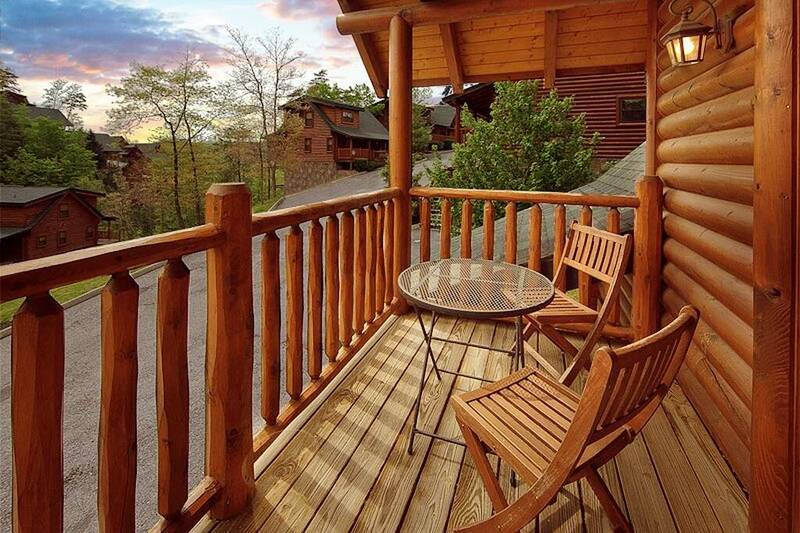 Enjoy a vacation in one of our classic log cabins in the Smokies at Paradise Pointe, a roomy two-bedroom cabin great for a couples’ getaway or family trip. Experience the benefits of a resort community while enjoying plenty of privacy in a woodland setting. 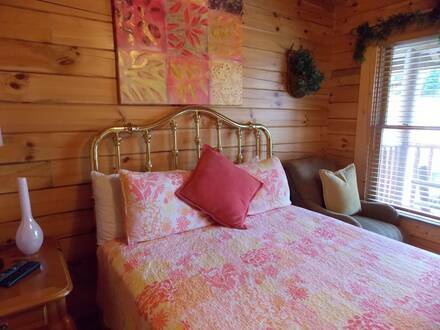 This elegantly decorated cabin offers much more than a place to stay. 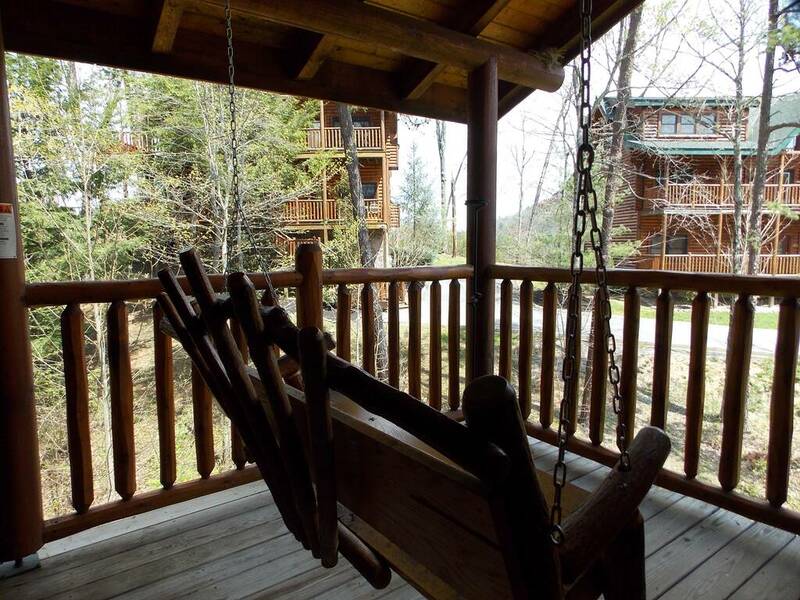 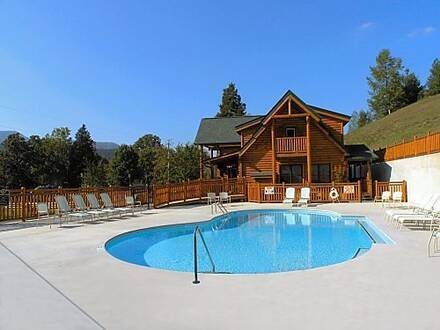 Relax on the covered porch in a rocking chairs and breathe in the mountain air as you listen to the sounds of nature instead of bustling traffic. 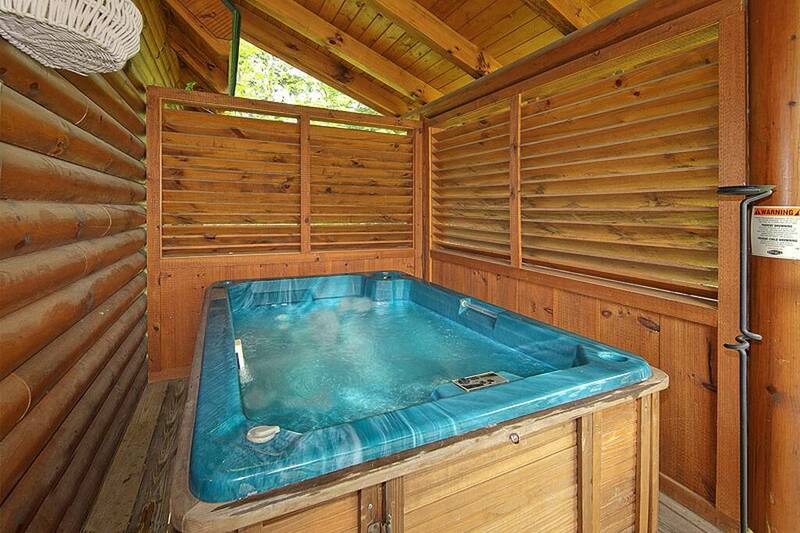 Let your stresses fade away in the hot tub as the bubbles ripple around you. 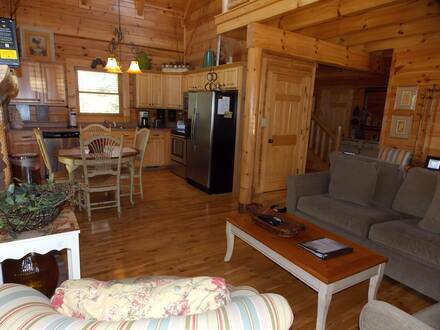 Inside, the downstairs has an open floor plan with high pitched ceiling. A full kitchen at one end offers everything you need to make your stay more affordable and dining in. There is a large wraparound sofa and comfy easy chair next to the fire, with a television nearby. 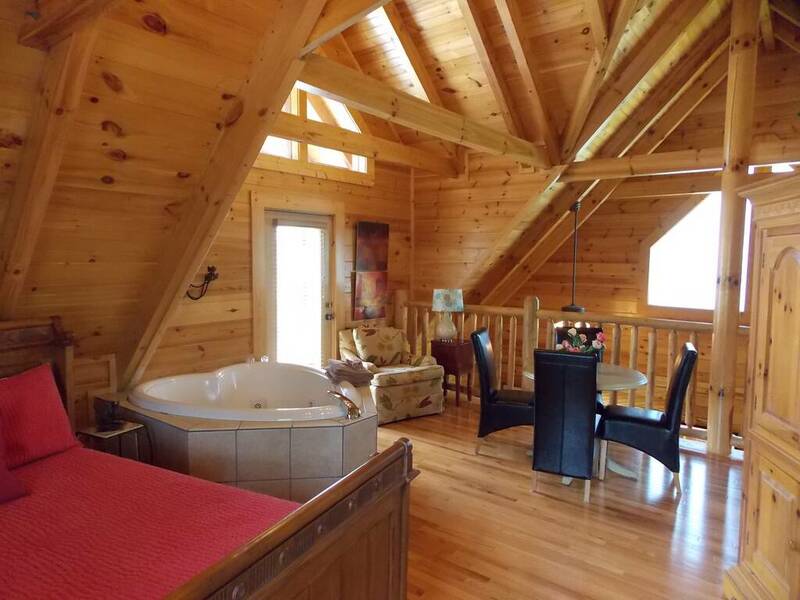 Upstairs, two bedroom suites offer plenty of privacy, with a veranda that overlooks the living area below. 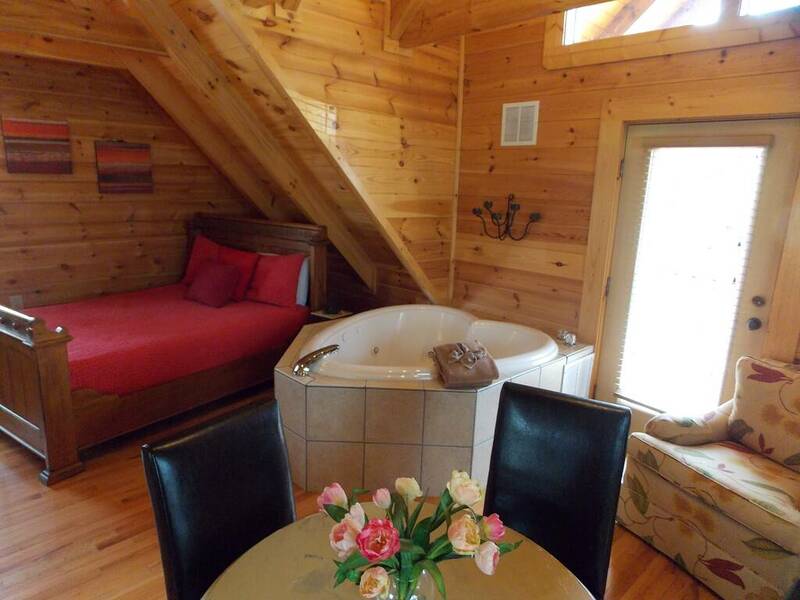 There are two baths, one of which even has a heart-shaped jacuzzi. Book now and everyone can enjoy a free pancake breakfast at Reagan’s House of Pancakes! No travel trailers are allowed in this community.